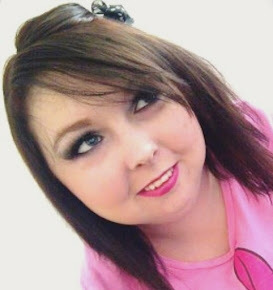 A couple of weeks ago I was contacted by Get Ginger Snap* asking if I would like to receive one of their products in exchange for a blog post review, I was thrilled! I picked their Lumosnap Neon Pink Heart Balloon Wall Mounted Light* as I thought the description of it was lovely and knew that it would look gorgeous in my freshly painted kitchen and wow does it look fab!! Description of light: Pink balloon heart neon wall mounted light from Gingersnap Lumosnap lighting range will bring style and flare to your home, office, workshop, playroom, bar or any space. Show some love on a wall in your home with this illuminated soft glow pink neon led pink heart balloon wall light. This charming piece of wall art that is also a flirty gift to give to someone you love, for a birthday, Christmas or Valentine's day. I'm so happy with this light, it gives off a lovely soothing baby pink neon glow and looks so stunning on my kitchen wall, I would highly recommend it to everyone! This light is priced at £50.00. I know I'm going to be placing an order with this company soon as I really want their A5 Vintage Grey Wooden Lightbox so I will be checking that out soon. 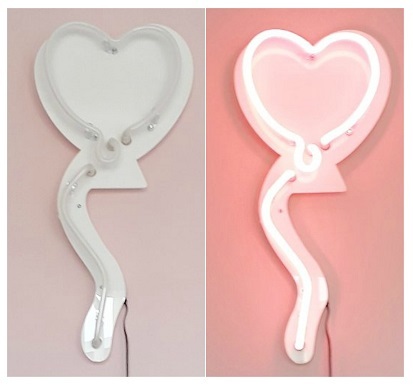 If you'd like to check out some of their products or buy a Lumosnap Neon Pink Heart Balloon Wall Mounted Light* for yourself or a friend then click here. This is so pretty, so Pinterest! Oooh these are so pretty! They would look perfect in my room! That is so cute!! That would be adorable for a little girl's room! Oooh, this lamp is so pretty. I need it in my life! Oh my goodness, this is bloody gorgeous! I need one in my life, will deffo be sending this link to my OH haha! These are so cute! I’d love one for my room! That light is so cute, I’m going to be checking them out definitely!